Apparently there are a lot of really awkward elevators in this world. Let's say the entire thing works correctly. I'm pretty sure I'm still going to log at least a few bugs. We've got usability and consistency problems galore. Just because it functions doesn't mean there isn't a bug! Just because it looks funny doesn't mean it isn't usable. Some of the color choices seem 'interesting' (Teal, Lilac), but there is no context for where this is to know whether it would have been worth the trouble to try to get "Blue-Green" and "Lavender" to fit in the standard-sized windows. 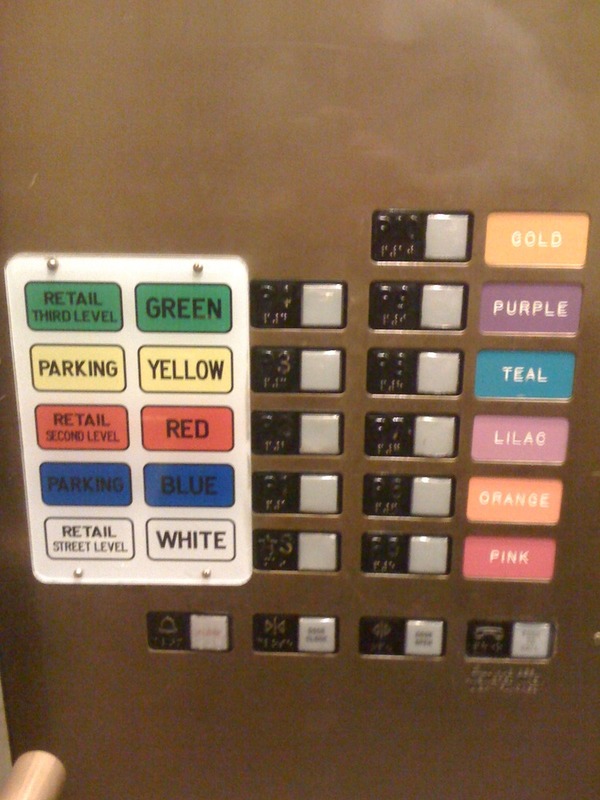 Mark, I think the eleven different colors, two different legends and inconsistent labeling all point to a usability problem. We haven't even begun to get into the specific color choice (or the naming of the colors).